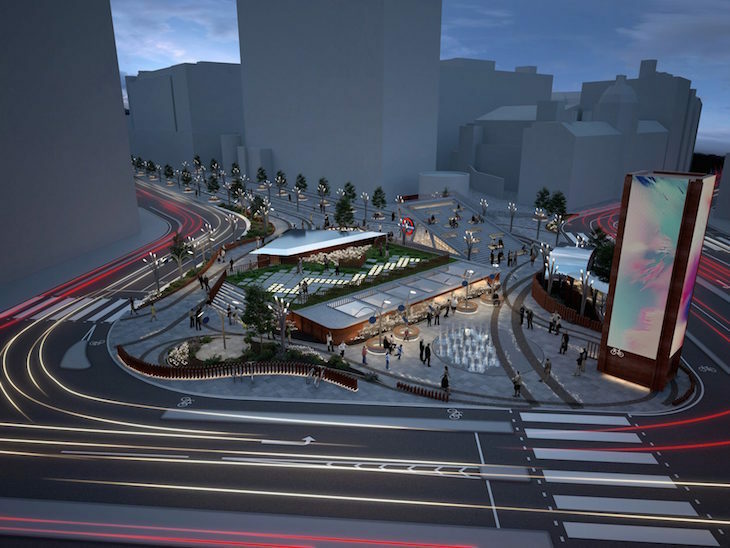 A hovering eye or a 'totem pole' could soon replace Old Street roundabout. They are some of the four 'concepts' shortlisted to replace the current Old Street roundabout, following a public consultation. The roundabout is due to be removed in 2019, when a two-way traffic system and a pedestrianised area will be introduced. 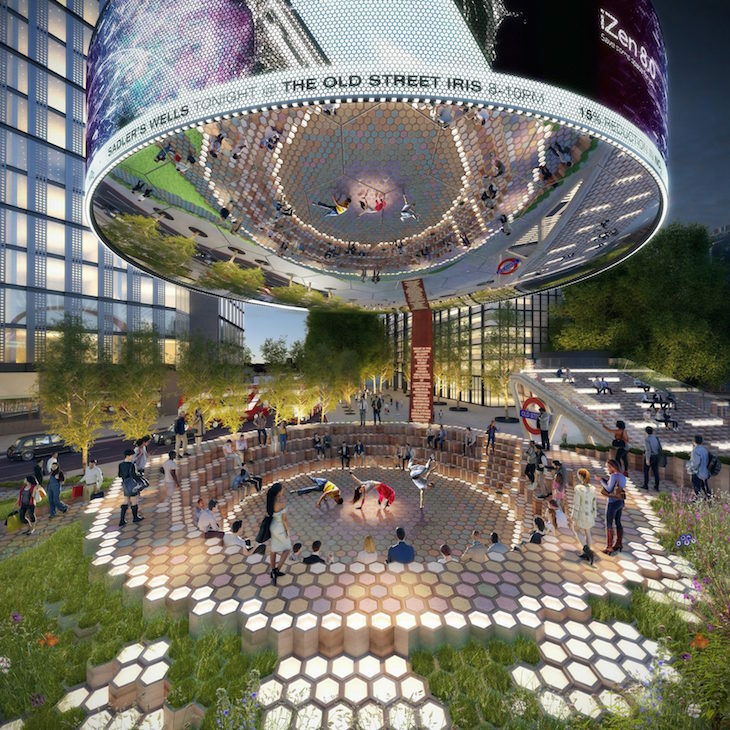 Dar Group's design, Old Street Circus 2050 (above) is a futuristic looking ring of light, which will feature information and advert boards with space underneath for festivals, film screenings and street markets. 'Old Street Park' by Nicholas Hare Architects is perhaps the least futuristic of the designs, consisting of a 'green space' for use by cyclists, pedestrians and the local community. 'Digital Garden' is Gpad Architects' offering, which features a 'forest of lights that generate electricity'. This design reuses the existing advertising boards hanging over the roundabout, by turning them on their side to create an advertising 'totem pole'. The space within the totem pole will be used as an automatic bike storage facility. EPR Architects' design, The Iris, is designed to look like a reflective lens, underneath which there will be a pedestrianised public space (and, if the mock-ups are anything to go by, a dance mat). 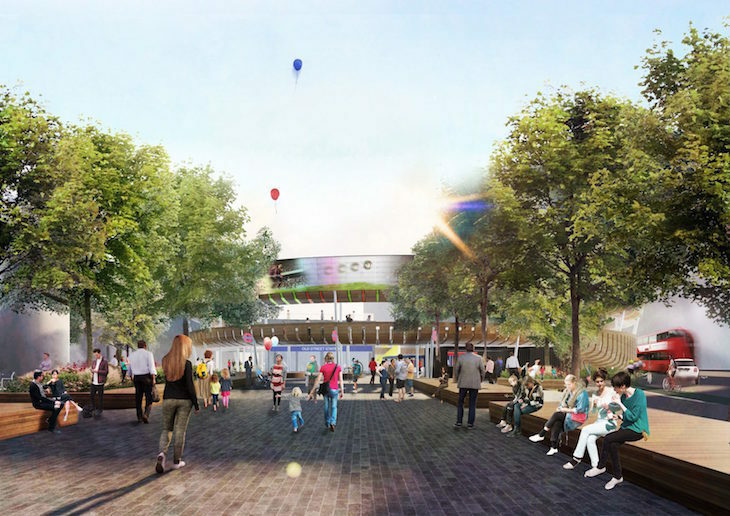 The four designs were chosen from a shortlist of 39 contenders, and the next stage is a formal tender process. 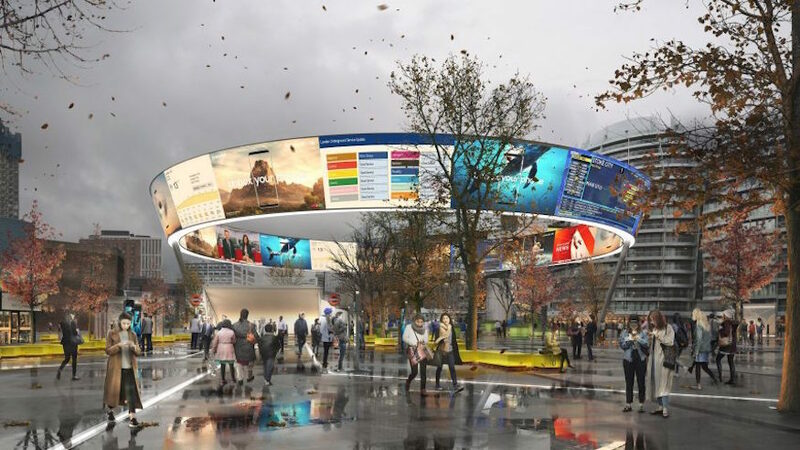 Whichever design wins, it looks like it'll be suitably high tech for London's Silicon Roundabout, with advertising space to rival that of Piccadilly Circus. Which do you like best? Let us know in the comments. See also: An ode to Old Street roundabout.